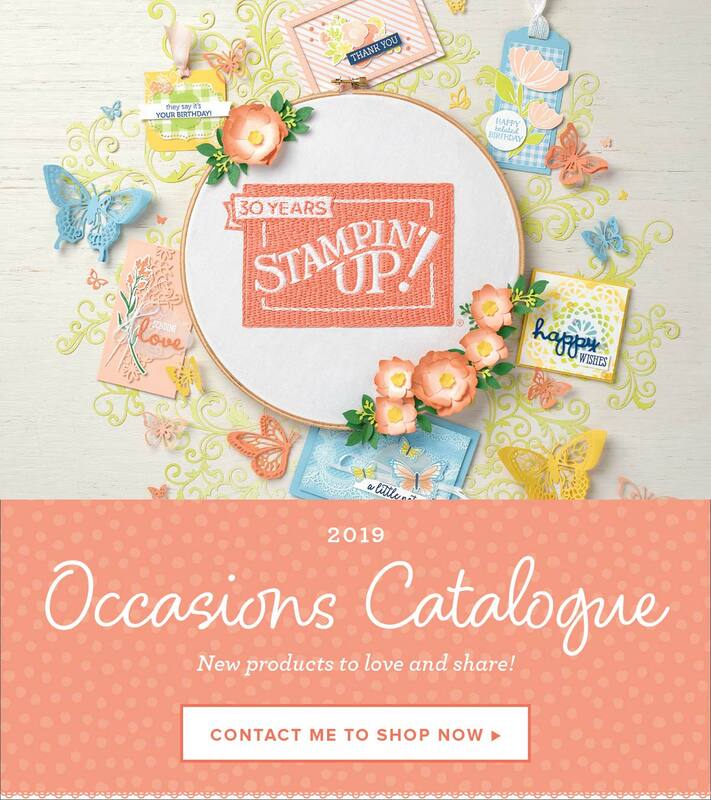 Hello again and welcome to the Sunday night hop where we are CASEing anything from the SALE-a-bration Catalogues. 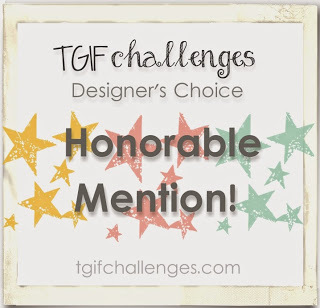 You may have come from Helen's blog and her beautiful project. 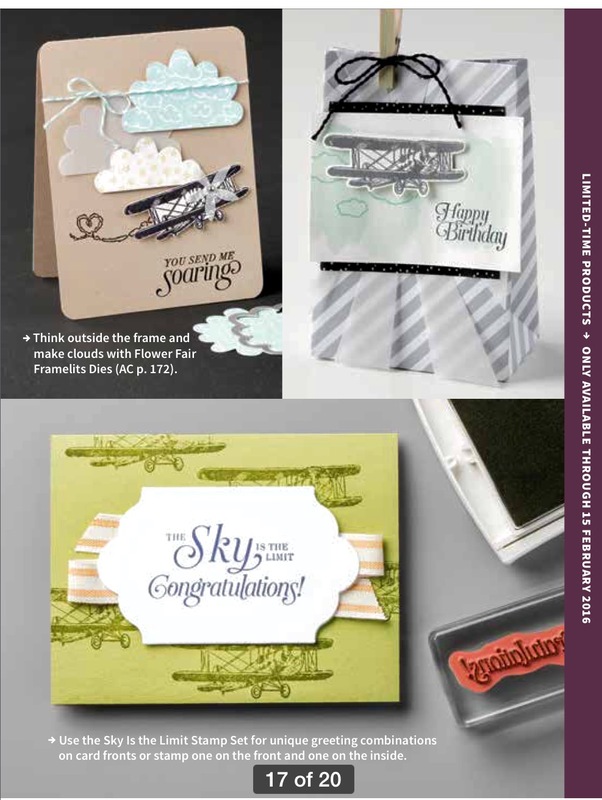 I have chosen to CASE the card top left on the back page of the supplementary SAB brochure which has 3 new awesome products available until Mar 31. The little Pedal Pusher set is super cute and very easy to colour, and it can be yours FREE with any purchase over $90. 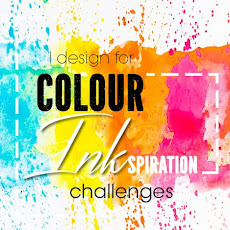 I made the card for the CTC#68, but I was already playing with these colours because of Bronwyn's fabulous The Colour Tree Challenge#7 which you can see here. 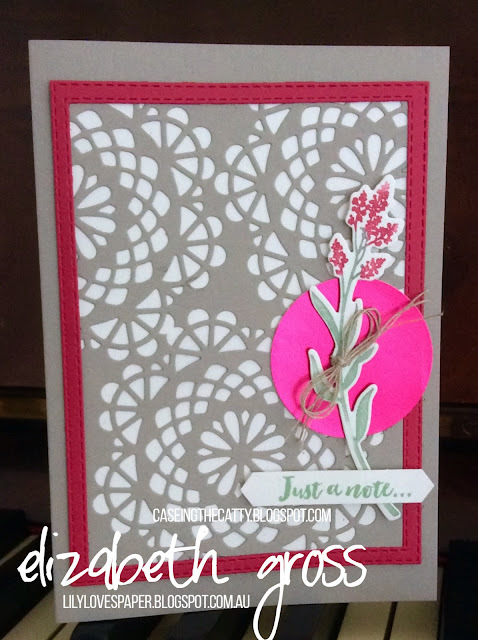 Each week she has a new colour challenge and they are a great starting point for any project. 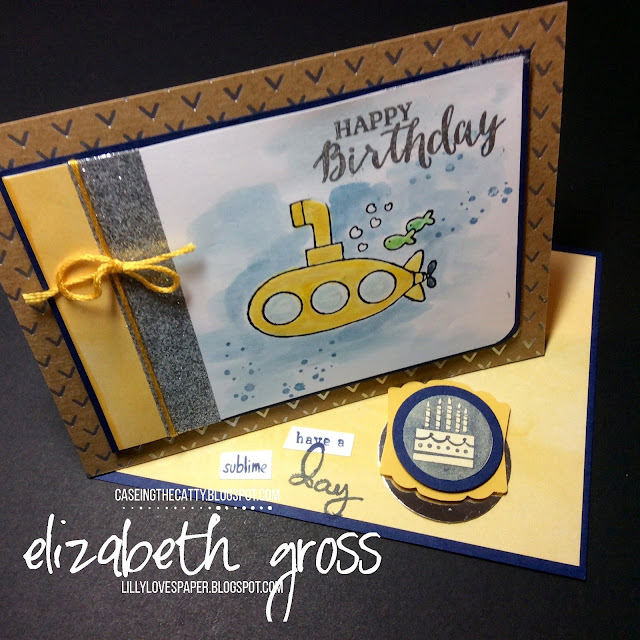 If you follow me you may have noticed that I try and make a point each week of creating my chosen layout with both a new and an old stamp set- just to show how versatile an inspiration point can be. So this week I used the same layout (which is dead easy and very quick too- great for a class) and I made an easel card using You're Sublime. I'm really happy with how this turned out, and the Shine on Specialty Kraft DSP is really fantastic, though it is hard to tell from the Catalogue picture. 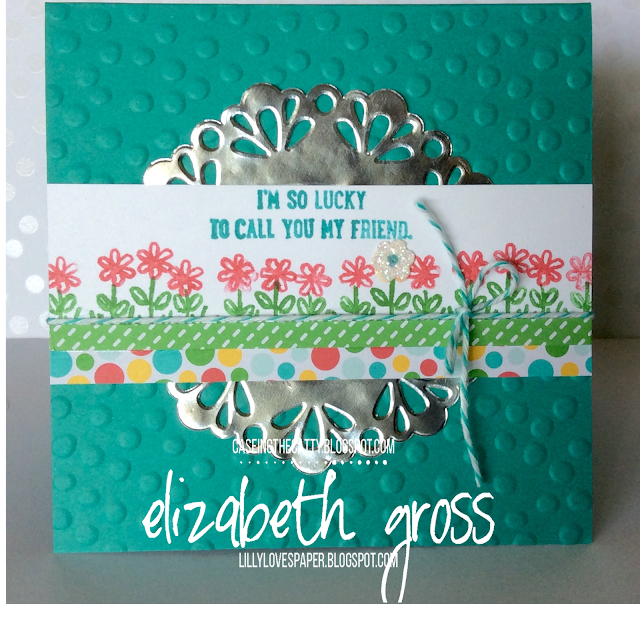 Thanks for looking, don't forget to make a card for the Mothly Challenge and link it up using the button below. 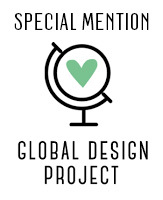 You can CASE any of the designers projects or something that you love from the Catalogues. 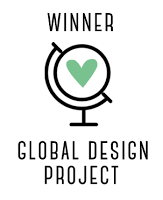 Next on the hop is Kathryn, you can see her gorgeous project by clicking on the link button. Finally to join the Challenge for the month just click on this button. but for a regular Easel cards there are loads of instructions online at various Pinterest and paper crafting sites. I guess that's because there is no one set of dimensions that you have to follow. 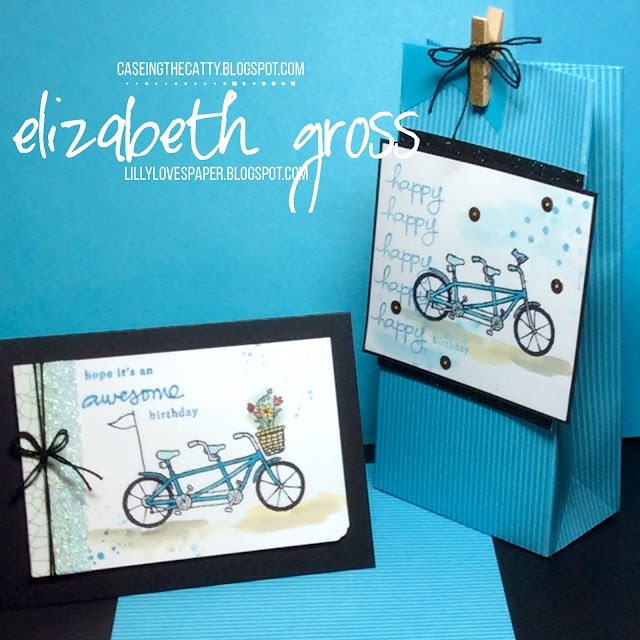 You might find more cards on this blog under the Label "FANCY FOLDS". I recently posted some of my Easel Cards for the Markets here. But here are a few more samples which I have to share. 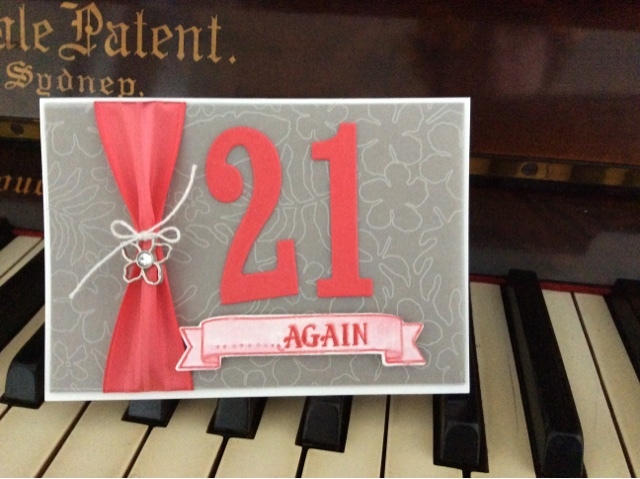 The first was a Birthday Card for a lovely friend. The Grateful Bunch Daisy looks good in a range of colours, and the largest daisy is so easy to Watercolour. Next I was using up odds and ends that have been lying around unfinished for ages. It felt good to turn them into something useful! Flowering Fields again - another twisted Easel. The Shine On Specialty DSP is so much nicer in Real Life. The silver accents are on one side of each of the 12 pieces. Two have the fabulous silver clouds, which were just screaming out for the aeroplane. These sold really quickly at the markets. The cloud lining paper is from the Sunshine and Sprinkles paper which you can find in the clearance rack at bargain prices! And the last card is another twisted Easel using the Brilliant I love you Sew set. (Why do they always have so many cute sets in the Hostess section?). This was popular too! .... and some time for creativity too. Hello again, the Colour combination at The Colour Tree had me struggling at first, but once I started playing with the colours I really enjoyed using them. 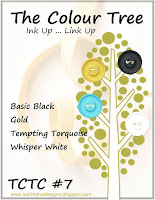 I have always loved the Turquoise but I was daunted by the Gold. That's the beauty of Challenges - they get you thinking! 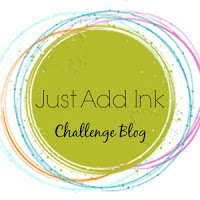 I'm also linking up with the CAS(E) this sketch#160. The gift bag (top, right) inspiration from the SAB catalogue. 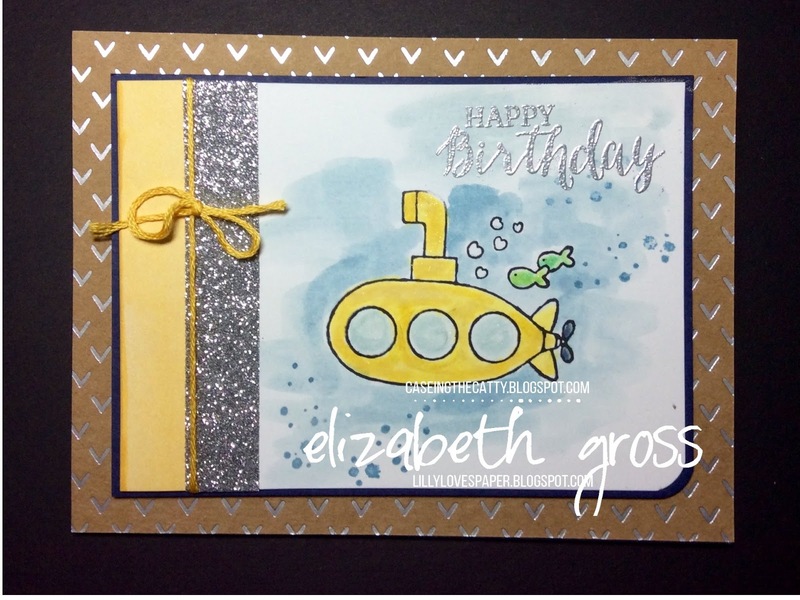 In the end it's essentially a monochrome card with some Gold highlights - a few gold sequins and the fabulous Gold Washi tape on the peg. 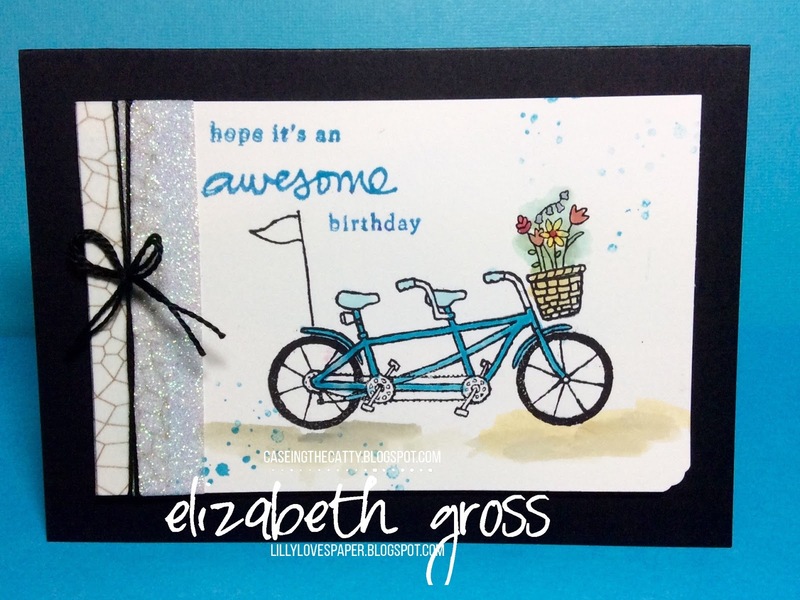 (though they don't show up very well in the photo) The Washi is from the Sale-a-Bration specials on at the moment, as is the gorgeous Pedal Pusher Stamp. Such a cute image and very easy to colour. I used both a blender pen and the aqua painter. I don't make a lot of bags but was inspired to try the one at the back page of the Sale-A-Bration brochure. the Catalogue has such a lot of inspirational projects. 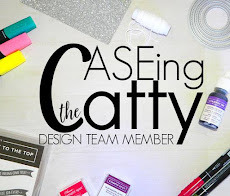 You should check out all the projects at CASEing the Catty - we hold a monthly challenge too. I should use The Gift Bag Punch Board more often as it's really quite simple once you get the hang of it! I have to confess I went looking for the Black glimmer Washi tape and thought I had lost it - (wasted a bit of time too) until I realised the Metallics Glitter Tape actually comes in gold, silver and white...! So the painted panel is mounted on a piece of black glimmer cardstock. The Turquoise DSP is from a very old stack but I am making a real effort to use up some of my paper hoard , stash, collection! The little dots are from Timeless Texture, and the sentiment is from the Endless Birthday Wishes .. which I am using far more than I thought I would. It's so versatile. You can't really see the gold very well but it is quite sparkly in real life. 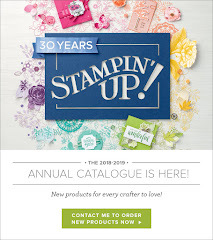 If you would like to get your hands on some of these great products now is the best time to stock up on Stampin' Up! 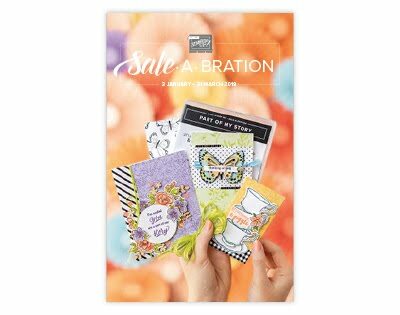 items- for every $90 you spend you can choose one of the Sale-A Bration products for free. This promotion ends March 31. You can shop in comfort from your couch by using the Shop Now button at the top right of this page, and if your order is less than $250 please use the Hostess code for February. If you wish list is rather long then you might want to consider becoming a demonstrator. 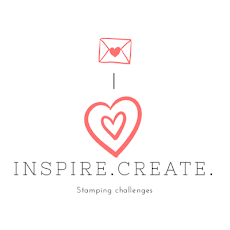 There's no obligation to run a business,plenty of creative folk are Hobby Demonstrators and enjoy 20% discount on all Stamping Up! products. 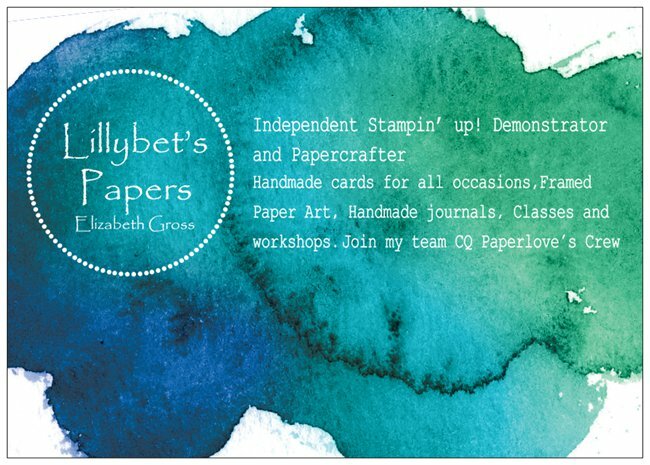 Join my friendly team - the CQ Paperlovers Crew. Hello again this beautiful Sunday. 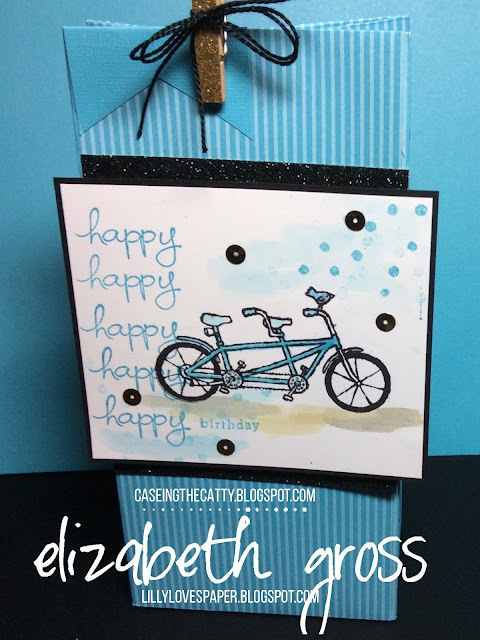 You may have come from Kathryn's blog, her Birthday Bloom card was awesome. Welcome to the hop. Hard to believe but tonight is our 100th HOP, that's certainly worth celebrating. This week will be a treat seeing all the beautiful creations from the gorgeous Birthday Suite in the occasions Catalogue from pages 8-15. There are so many beautiful products in these pages. I was so excited when I first saw the Number of Years bundle. 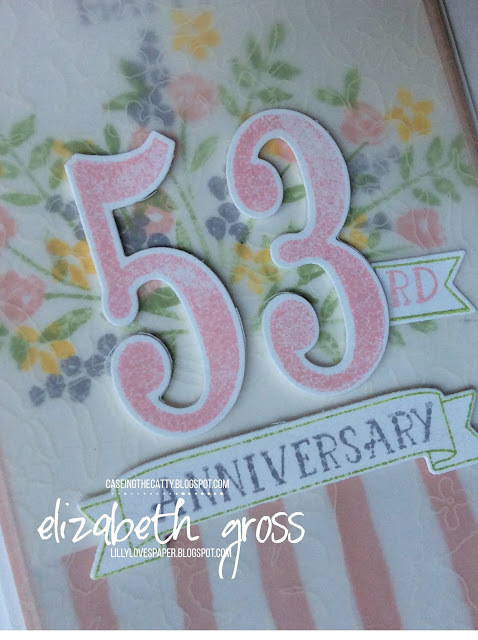 Being able to personalise any card with the gorgeous big numbers is fabulous, and even better I love the font for the sentiments. 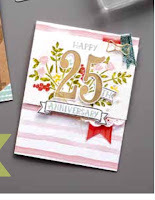 I have been waiting a long time for SU to bring out a set that simply said Happy Anniversary, and this is it!I have chosen to CASE card on p10. The numbers images in the Number of Years set are big and bold but so pretty. Cutting them out is a breeze with the large Numbers Framelits Dies. I love the white border around the numbers. I felt that the floral image was a bit bold for the softness of the DSP so I covered this layer with some Botanical Gardens DSP. This is a treatment I really like, and to avoid seeing any adhesive through the vellum I have simply wrapped it completely around the base panel and the glue is on the back - Easy, and theres's a second card below to show the same technique. The patterned vellum shows up well over a dark base card, here I have used Soft Suede. So I hope you have found some inspiration here. 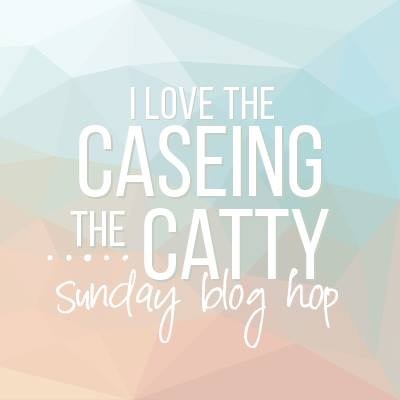 Enjoy hopping around the rest of the CTC design crew. Next up is Helen, her work is always so detailed and lovely. Don't forget you can join in with use any time. We will choose a winner from all the selections for the month. Just a few Easel Cards I have in stock for the Handmade Markets this weekend. I love a fancy fold that folds flat for postage. And I have to say I am enjoying using the Grateful Bunch stamp set and matching punch. 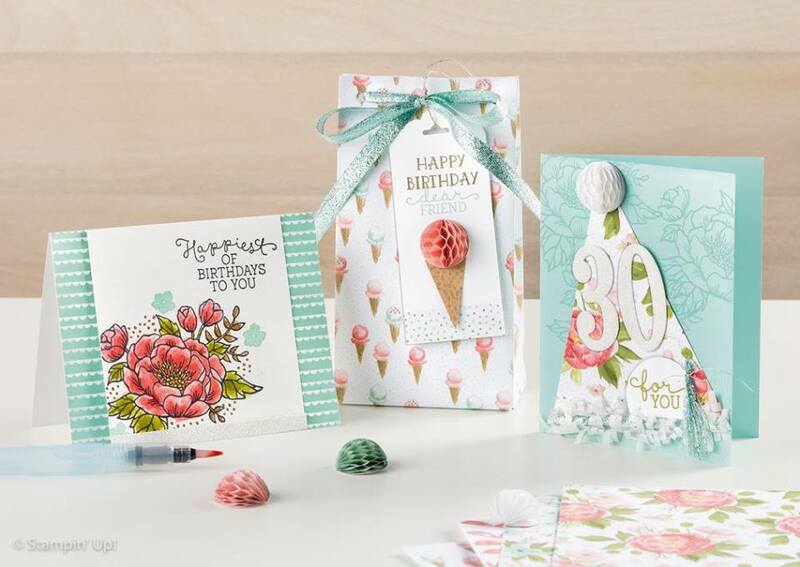 I'm sad the Hello set is no longer available but there are 3 new gorgeous Sale-A-Bration products which are ever so cute.The large daisy watercolours so easily with an aqua painter. All my envelopes for the markets are lined or decorated or handmade too. 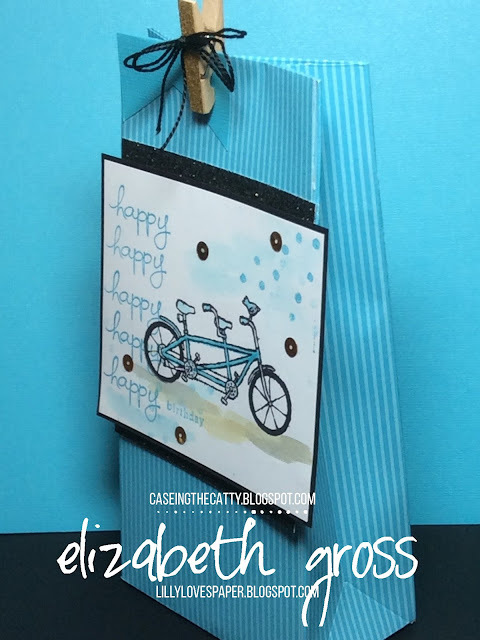 We made a Twisted Easel card at Saturday's class and I promised I would upload some instructions - It's good to have them in one place, So they'll be searchable here under Fancy Folds. I'm sure there's another edition on this blog from a little while ago. 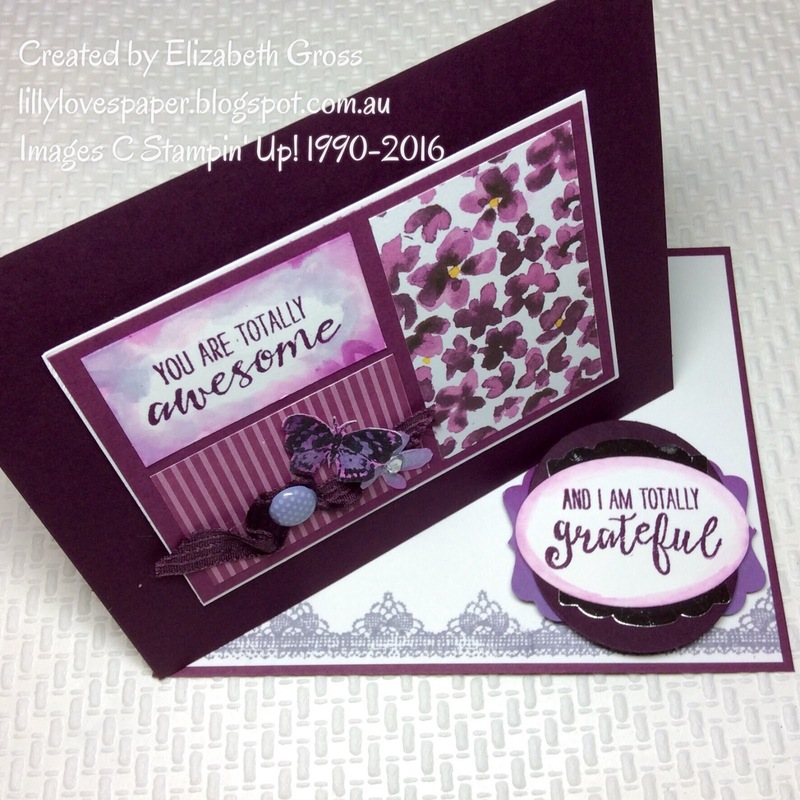 So I made another version and this time I used the very purple Colour Combination at The Colour Tree Challenge#6. I have to admit that I used Wisteria Wonder in place of Plum, which was a bit of a challenge for me but I dug through my bits and bobs and found an old brad and some ribbon, and all the DSP is from retired packs but that's enough purple in my box! The Scoring template for the twisted fold. It will work whatever the dimensions of your base card. 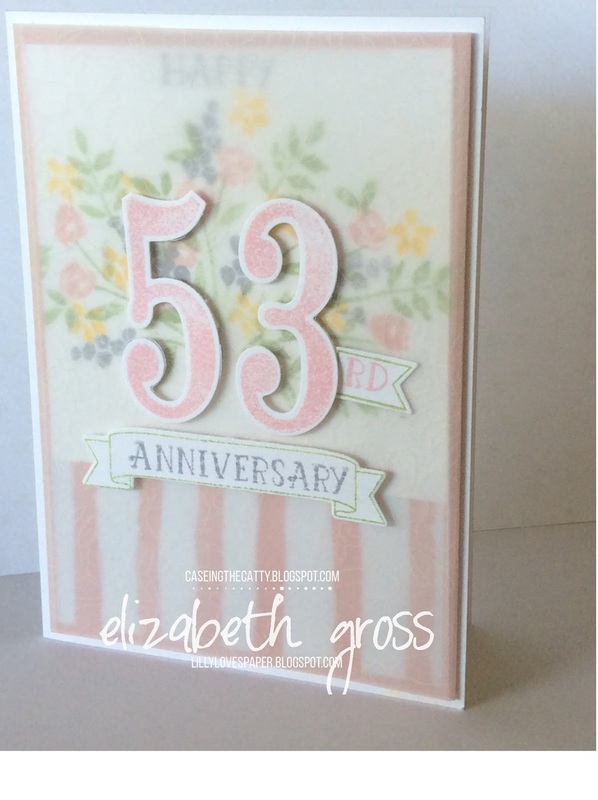 You just need to make the card front the same size as the back - or slightly smaller. The position of the anchor will determine how high your card sits. And after actually cutting out the pieces for PSC06 which are smaller than you think, I found it easier to visualise with a measurements template so I created both a metric and an imperial version. Hope this helps, and I hope you have a go and create some too. 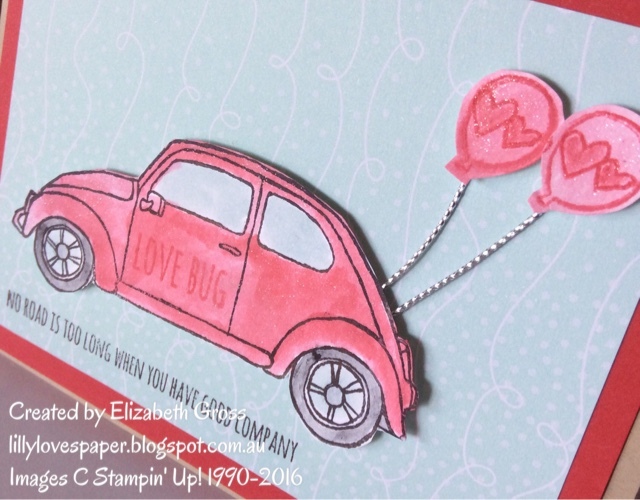 The theme this week at a JAI is Just add V - so valentine's is perfect. 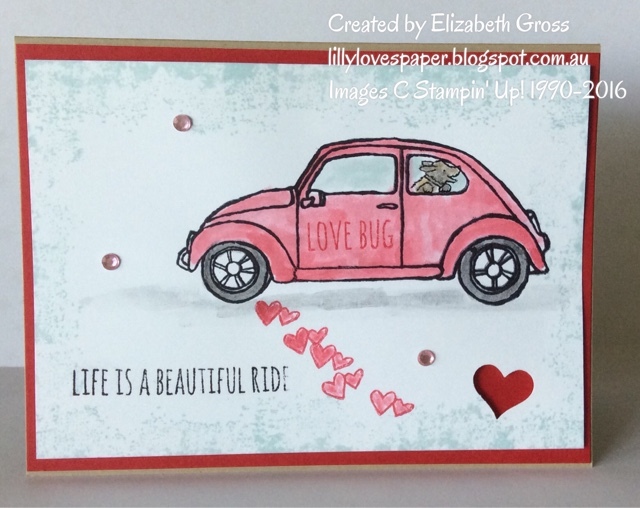 I made these few Valentine's cards for a friend at work who asked me to create something with red and pink! 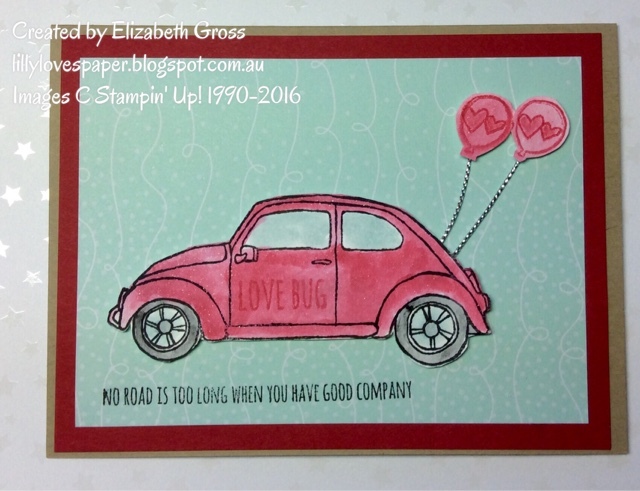 The first card I stamped, coloured (with the aqua painter) and cut out the bug and balloons and simply popped them up on the DSP. I'm not sure if you can see the sparkle in the second image but the Wink of Stella adds such a lovely glimmer. The Beautiful Ride set has so many possibilities, and it's actually easier to colour that it first appears. 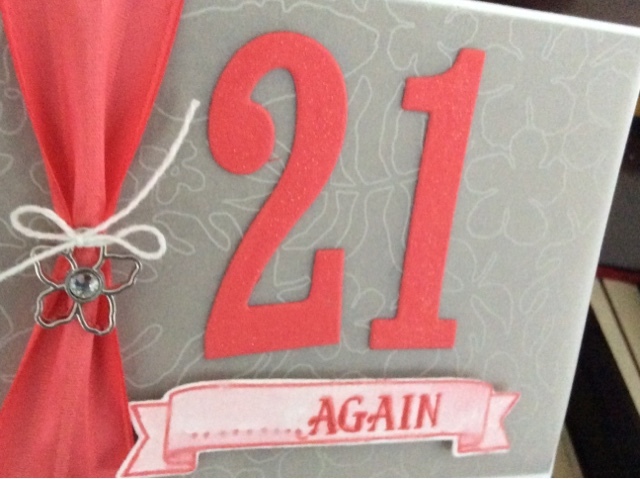 The second card is stamped directly onto whisper white and coloured the same way. The Archival black ink is perfect for colouring and gives such a clear image I am really impressed with it. The texture around the card is using the brilliant new Timeless Textures stampset. 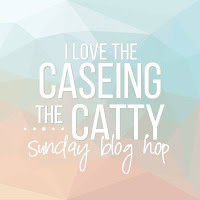 Welcome back for another Sunday Night bloghop. You may have arrived form Kathryn's Honeycomb goodness, or you may have jumped in here. Stick around there's plenty to see. and Happy Valentine's Day to you all. Hope you have had a lovely day with the people who mean the most to you. This week we are able to choose any inspiration at all from the SAB catalogue ( it could be a layout, a colour combination, or an image, a theme or technique) - well that's a big call since I love it all, but there's a cute little simple card on page 5 which catches my eye every time I open the flier so I figured that was where I should start. Let's face it, we all need simple right? 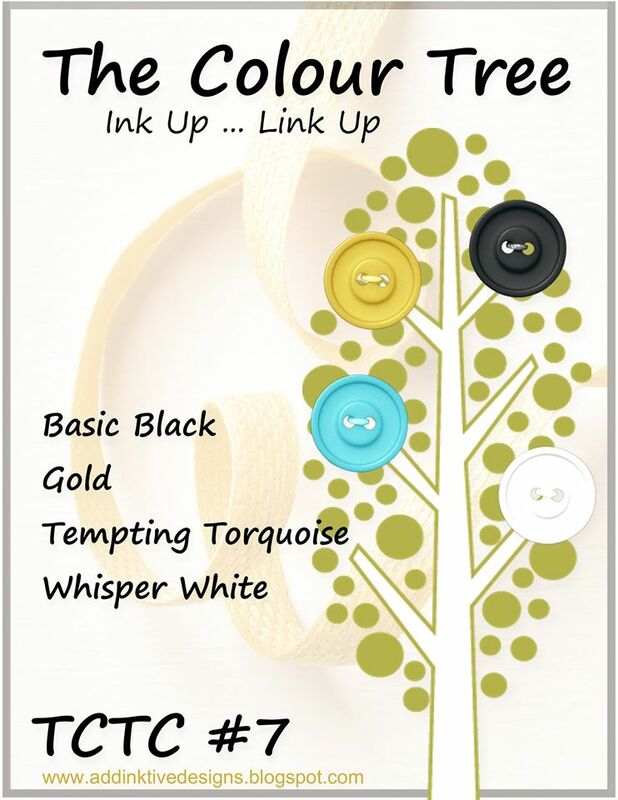 Old Olive background, and the cute little Wattle image from Flowering Fields, with a hint of some of the flowering fields DSP and a Sneak Peak of a new product - the Gold Washi Tape which will be one of the 3 new Sale-a-Bration products available after the 15th Feb.(very cool to use). The pack comes with Silver and White also = and you can colour the white with markers/sponging. Very fun to play with. And since I am trying to do my CASE's with one new stampset and one old set I thought it was a good time to bring out the cute Sprinkles of Life set to show how versatile this sketch is. But the good news is that there are 2 new sets as well as the new Washi tape coming. Trust SU to keep the good things coming! 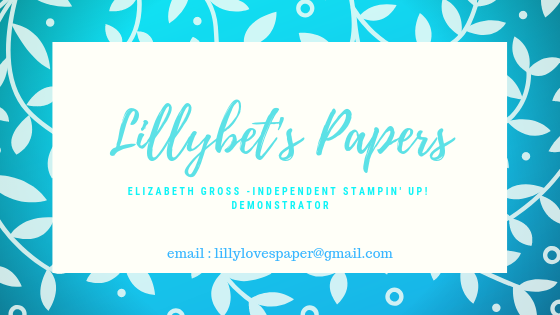 If I can help you with ordering any of the products so you can earn your free Sale-A-Bration sets please let me know, I'd love to be your demonstrator. 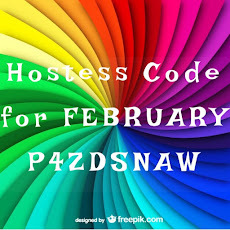 If you are ordering online this month please use the Hostess Code at the top right. 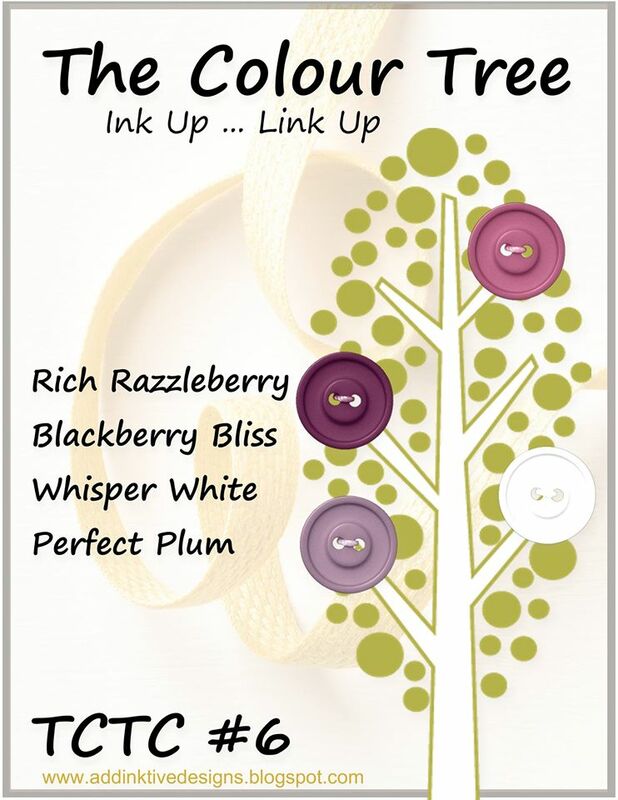 You can shop online at home too whenever the creative inspiration arises too. 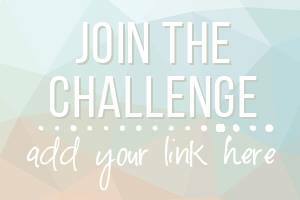 Don't forget that you can join in the fun any time during our monthly Challenge. CASE anything you see in the hops or something you love from the Catalogues. 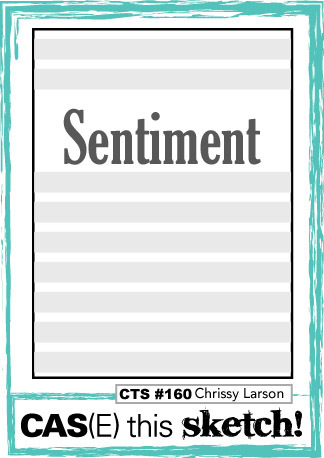 Post your project using this Link. I you don't have a blog just send me your photo and I'll link it for you.